We specialise in the design, installation, testing & commissioning of Fire Suppression Systems. Fire suppression systems are a great way to extinguish a fire in its early stages after an outbreak. Fire suppression systems will automatically activate and are typically used in server rooms and archive rooms with FM200 systems for example. There are other applications of fire suppression such as the use of Ansul in restaurant canopies. Where the use of deep fat fryers, gas burners etc. are used, an Ansul fire suppression system should be installed in the canopy above. We can supply, install and commission these systems in your premises. 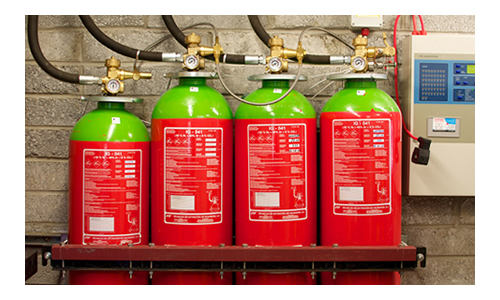 Should you require a quotation for a fire suppression system, please contact us to arrange a survey be carried out.